An electrical panel is the central point that connects the wires from outside to inside your home and provides electricity to your home. To keep your home and family safe, monitoring and upgrading electrical panel is essential. Defective and/or malfunctioning electrical panel will trip breakers and lead to fire, smoke or melted wires. It poses a safety hazard and should be immediately repaired or replaced by a professional licensed electrician. 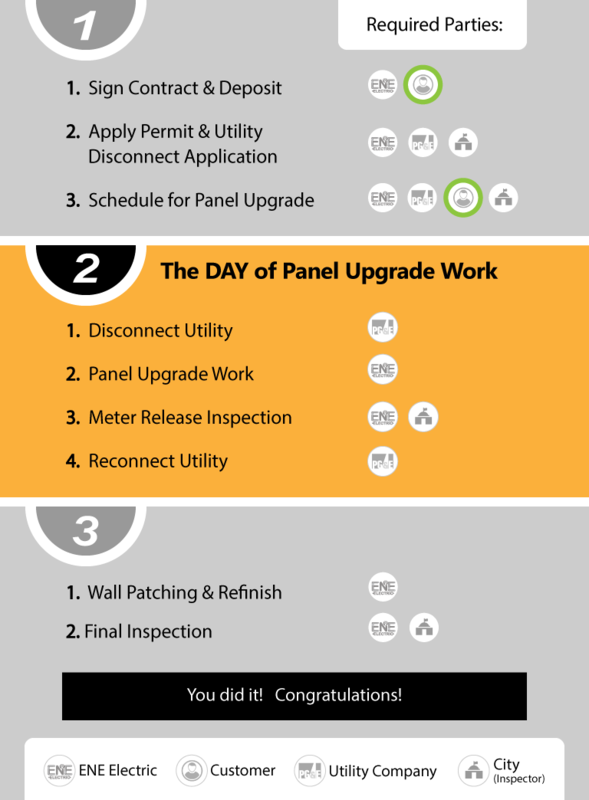 If you answer yes to the checklist below, or find that your current panel doesn’t meet modern home electricity requirements, you would need a panel upgrade for your safety concerns. Are you installing appliances such as hot tub, air conditioner, refrigerator, EV charger, or other machine that consumes lots of energy? Is your home more than 20 years old with these panels? Do your appliances not run at full capacity? Are you planning to install solar panels? 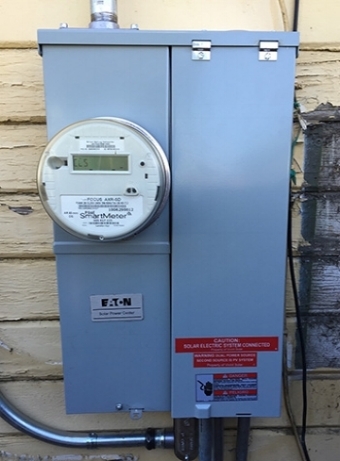 ENE provides a total Panel Upgrade Package with not only panel upgrade work but also scheduling disconnect/reconnect with utility company, and applying for City permit(*REQUIRED) and meter release/final inspections. Efficiency Monitoring System to monitor your home's electrical consumption from your smartphone. Solar-ready Main Panel Upgrade prior to solar panel installation. Thank you! Our Panel Upgrade Specialist will contact you shortly.